Mariners Latest: Nationals Are The Favorite To Sign Fielder??? Nationals Are The Favorite To Sign Fielder??? So in the latest reports we hear that the Washington Nationals are the team that will most likely land Prince Fielder. I received word first from Twitter via Buster Olney. He stated that "it looks like" the Nationals are the favorite. Since then, that has been the talk of the town. Today on MLB Trade Rumors it comes out that the whole entire baseball world believes it will be the Nationals and we all still know the same as we did yesterday, which happens to be the same as we knew a month ago. Tonight I saw a tweet from our very own Matt Pitman who was sharing this news as it were bad news for Seattle fans and so i jumped to the article that he shared. To me, same old, same old. Different day, different rumor, still not a peep from Fielder himself or any GM's. What we do know about the Nats are that their GM specifically stated that their first baseman come spring would be Adam Laroche barring some sort of miracle. We also see from MLBTradeRumors that there will be three players on the Nats that will make over 20 million in just a couple of years. Last but not least, they simply do not want to go over that 20 mil mark for Fielder. So, what brings all this Nats talk up? One, Buster Olney! People look to Buster as a baseball God so when he spoke, or tweeted, it was as if he were speaking it into existence. Although Buster was only reading the vibe and didn't have any factual evidence to back up his tweet. Two, Jon Heyman. In my opinion, a insider that needs to be drop kicked back to the outside. Mostly I think he likes the attention of starting rumors, much like a high school girl. Either that or he is a client of the Boras Corp. and is getting payed to rumor other teams to drive up prices for Boras clients. I simply have begun thinking the opposite of whatever he says. Especially this rumor about Heyman speaking to a Nats player that told him the Nats were in the mix. C'mon, really? I find that interesting news. Information spreading around to players during the off-season. How many tweets have we seen from Mariner players about the deals that may happen in Mariner camp? Heyman is full of crap! Now, seriously. 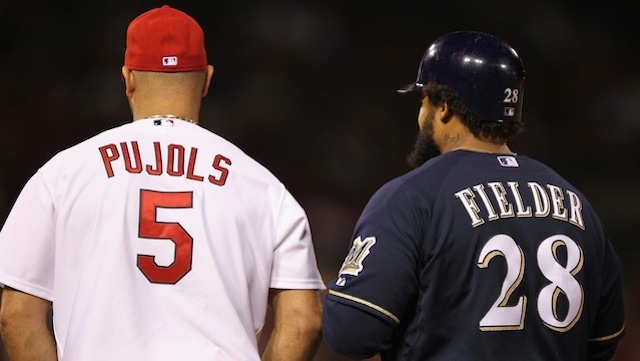 Boras wants Fielder to make as much money as Albert Pujols. Every single team that has been interested has said that they are not willing to pay the price. That's good news, because in my mind there is only one team that has to pay the price or lose everything. That is the Seattle Mariners. If the Mariners don't land Prince, I think you will see season ticket holders wave goodbye. You'll see attendance drop again and you'll see the AL West stomp all over us every single time we face them and once again we'll be picking ourselves up from the cellar of the division. Last month it was determined that the Rangers would land Fielder, then it was the Cubs where someone had Fielder saying he liked the idea of playing for the Cubbies and now it's the Nationals. All in all, it comes down to a teams desire or a Prince Fielder veto, and I have to say, the opt out clause was asked for for a reason. Just sayin'!